Are you facing a training challenge? We hear a lot of them during our train-the-trainer courses. Perhaps we can help. Drop us a line, and you may just see the answer to your question here. I’ve just been charged with creating a training program to teach several computer processes to a large team. I’m concerned because the group is big. I don’t want to teach a lecture-only class. I’m also worried that people will work at different paces, and I won’t be able to manage the process. Help! First, congratulations on being selected to create the program. Somebody must think you are up to the task, and we’re sure you are. Second, take it step by step. Does the group have to go through the session all at once? If not, consider offering smaller workshops. As you worth through your program’s design, break your content into logical chunks. In your case, those chunks will most likely be processes. Chunking will help your participants digest the material in pieces. Also, a bunch of small bites are usually easier for participants to digest than trying to “eat” the whole enchilada at one time. Think about using examples throughout the session. Most participants find it easiest to work with something that has a name and a face when they are learning processes, and a good stories and illustrations can make relatively dry material more interesting. Look for ways to get people away from the computer. As one of your exercises, maybe you print out a bunch of screenshots, pass one out to each participant, and then have them get themselves in the right order based on what they’re holding. Let someone be your hands as you provide instruction. In other words, have a participant come to the front, and you tell him or her what to do as you are teaching a process. Pair people with different partners throughout the program. Peer teaching can be very effective. Furthermore, what someone doesn’t “get” with one person, they may understand with another. No matter what you do, try not to be predictable when it comes to activities. Demo, practice, demo, practice, is boring. Change it up. Every hour or so, find an activity that takes people away from the keyboard. Regardless of the class size, a lot of your success is going to depend on your setup in addition to your course design. We suggest you spend some time framing why participants need to learn what you are teaching them. Next, let the group know you are going to use a variety of teaching methods, and that you expect everyone will learn at a different pace. Then, explain you will ask people to work with a partner from time to time, and you will monitor pacing throughout the course to ensure the timetable stays on track. In fact, you may want to assign the roles of pacing monitor and timekeeper to a couple of participants. This is a lot of information to digest, and we hope we’ve given you a head start on your project. Good luck! I lead a mandatory training course that I didn’t write. In a nutshell, the materials boring and dated. The program consists of PowerPoint, readings, and very few activities. I don’t enjoy delivering the program, and people in the class don’t seem to like it either. They’re on their phones, holding side conversations, and so forth. Can this program be saved, or should I just soldier on and not worry about it? Bad training design is a crime, and its effects can be long lasting. 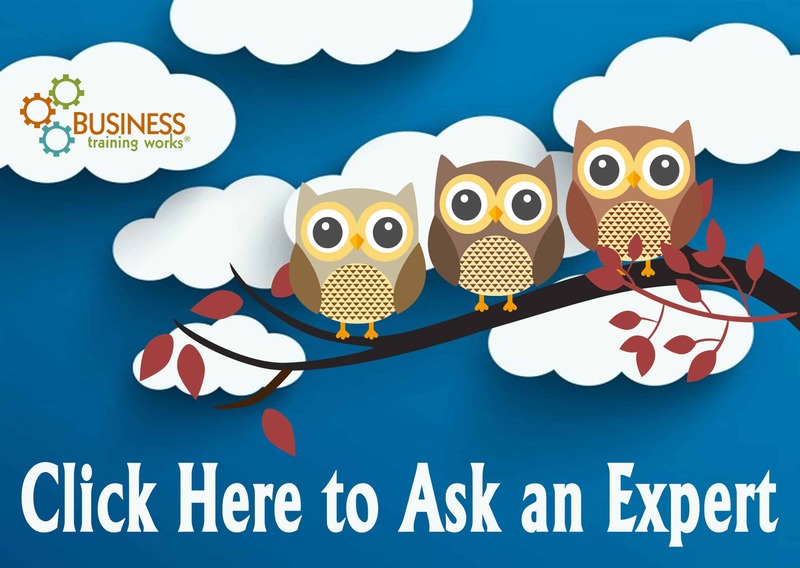 Without seeing your materials, we’re going to have a hard time giving specific advice. However, we can give you some basic guidelines to help you breathe a little life into your course. The first step we suggest you find out is why/how your students will benefit from the program. If they care enough about the information, they’ll focus even if the design is less than great. Find out why your participants should care about your topic, and spend some time having them discuss how they’ll benefit. By the way, you need to be a believer too. If you’re not enthusiastic, why should they be? Next, if your content isn’t linear and doesn’t need to be taught sequentially, let the group vote on what you’ll cover first. If the content is linear, you might want to vote anyway. The information you gain will give you an idea as to what people care about and what they don’t. Finally, the more you can have people stand up, move around, and work with different people, the better. Your goal should be to incorporate variety to maintain your participants’ attention and to ask throughout the course how they will use what you’re discussing. About ten years ago, we put together some ideas to help people make lecture-based training more active. You can review those 25 activities on our site. Some of the activities described will work better than others. We suggest you try some of the ideas and let the group know you are piloting a new approach and want their feedback. When it comes to knowing what they like, learners are smart, and if you’re open, they’re usually pretty honest too. With those small changes, you should see some improvements in how others experience your course.